Join Art Gallery of Mississauga’s Artist in Residence Camille Turner as she explores Mississauga’s original downtown in her 5 & Dime Walking Tours! I’m so excited to announce that I’ll be doing my 5 & Dime Walking Tour as part of Doors Open Mississauga on September 27. I’ll do three mini tours: 1pm, 2pm and 3pm. So book your tickets through EventBrite and meet me at the Cooksville library! I created the 5 & Dime walking tour to explore and celebrate an ever-changing intersection at the heart of the town of Cooksville. 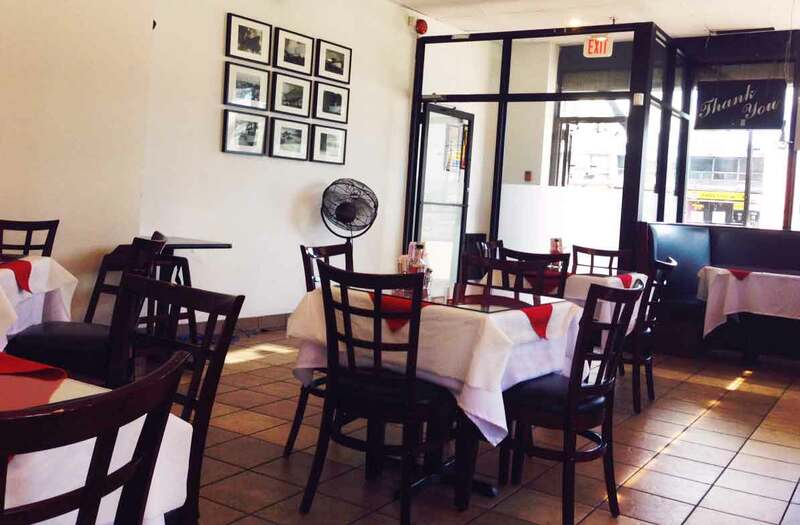 Affectionately referred to as 5 & Dime, 5 is Highway 5, also known as Dundas Street, and Dime is Highway 10, which is Hurontario Street. I feel fortunate to have met some of the wonderful people who own businesses in these oft overlooked plazas and I am so excited to share my journey with you. I took Leah Snyder from mixedbagmag.com with me on the 5 & Dime walking tour on a sunny summer day. Leah took some awesome photos of folks you’ll meet on the tour and places you’ll see on the way. You can download a map and list of sites here: 5_DimeWalkingHandoutForTours_Edited. As you walk through the 5 & Dime keep your senses open, watch for the traces from the past and listen for whispers from the future. Introduce yourself, ask questions and sample everything! Below are the sites I’ve chosen but feel free to pick and choose how you navigate the area. 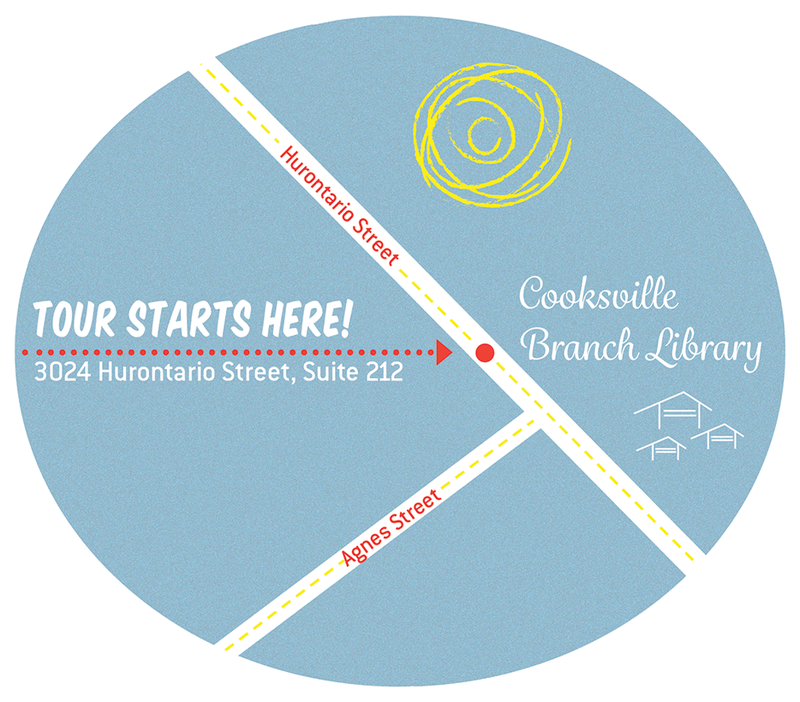 To many people today, “Cooksville” simply refers to the busy intersection of Dundas and Hurontario Street. An exploration of the area however, will reveal a bit of its pioneer past. 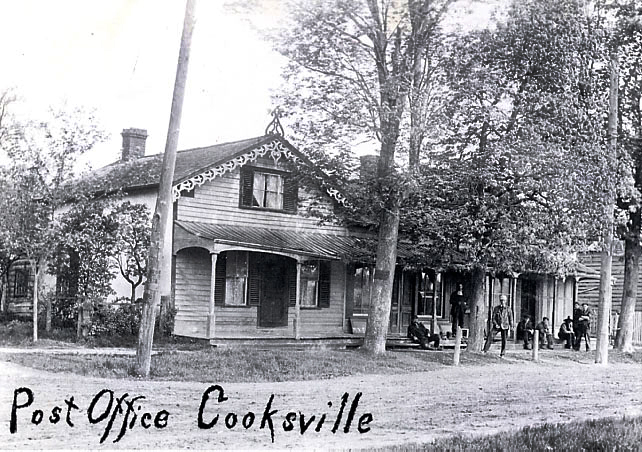 Established in the early 1800s, Cooksville was named after one of its most prominent residents, Jacob Cook. The area became the centre of an early entrepreneurial empire and home to Canada’s first commercial winery. Read more about Cooksville’s rich history at www.heritagemississauga.com/page/Cooksville. 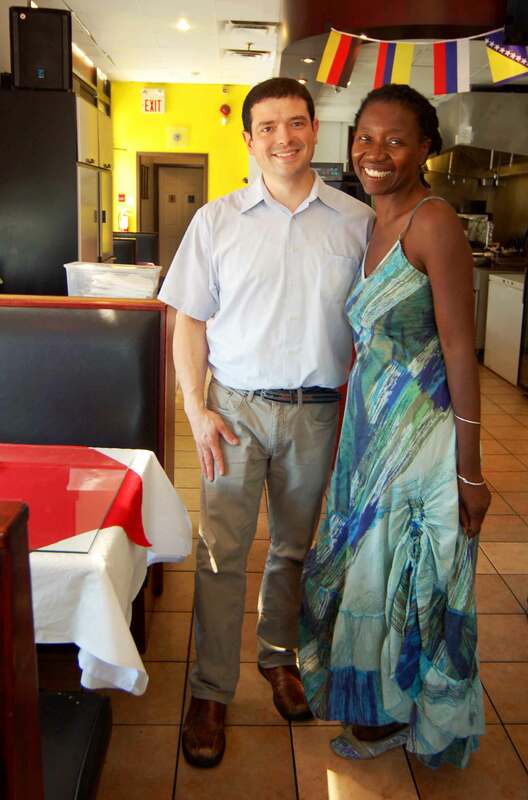 Alonzo, the owner of Colombia Mia, is celebrating his first year in business. 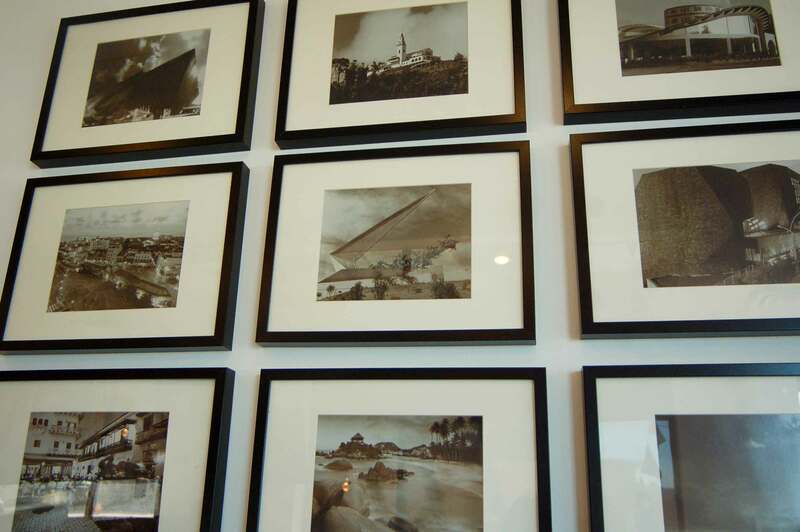 He proudly took us on a tour of Colombia via the photos on his wall. The ultra-modern Biblioteca Espagna built on a hill in Medellin, Alonzo’s hometown overlooks a poor neighbourhood and provides low-income families with access to a world-class library. Parque Tairona in Santa Marta is a church perched precariously atop a steep hill. There’s also a humorous restaurant in the shape of a sombrero vueltiao (a traditional straw hat). In Bogota, a building currently under construction is poised to be the tallest structure in South America. We had brunch at Colombia Mia. If you are a vegetarian like me, you’ll find the menu very meaty, but if you ask, they’ll make you a yummy veggie platter with both crunchy and sweet ripe fried plantain, avocado, beans, rice and salad. Colombia sounds like foodie heaven and there’s nothing Alonzo loves talking about more. Next we stopped at Charlie’s empire, consisting of a grocery, a fish and meat store, and a restaurant. We found Charlie behind the corner at the grocery store. He protested when we requested that he pose for a photo. “Take a picture of [my son] Derek,” he said. “He’s the next generation. He’s the future.” Somehow we managed to persuade Charlie and his wife to pose for this photo. I love dropping into Charlie’s for the lilt of familiar voices and the palpable warmth of folks who genuinely care about each other and the community they have nurtured and served for over 20 years. Check out my interview of Derek published in Mississauga Life. Nappy’s is the next stop. This barbershop in the plaza a bit east on Dundas is a central hub where folks converge from a variety of places. In North America’s Black communities barbershops have always served as important gathering places that have enabled men to come together to exchange hopes, dreams, information and gossip. If you’re in the market for a haircut, check out Nappy’s. Crossing the street, we made our way to the plaza on the south-east side, past the seating and historical display of the “Four Corners.” On our way to Granny’s, a Jamaican food counter, we ran into a colourful neighbourhood hustler often seen hawking his wares in front of the plaza. We enjoyed listening to his multilingual banter, code switching between North American- and Caribbean-style street slang. 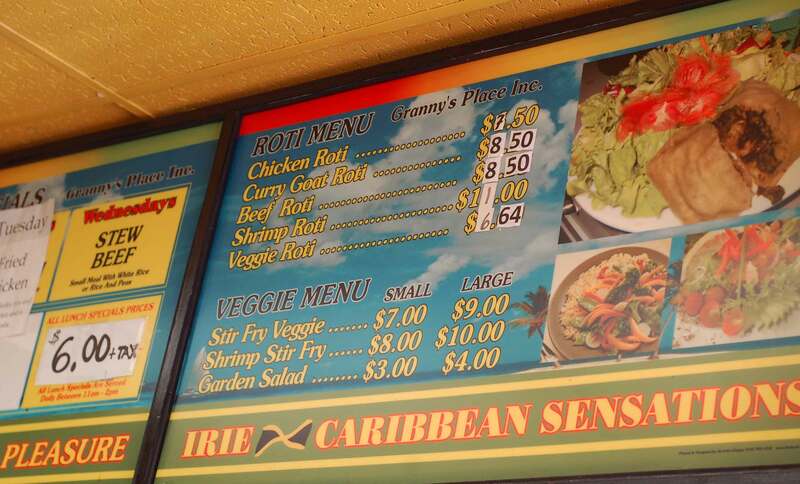 Cedric, the owner of Granny’s, was serving a never-ending lunch crowd and was too busy to chat with us. There are many Black businesses in the area and Cedric informed us that the Black presence at 5 & Dime dates back over thirty years. He has been at this location for 19 years and the previous owner had been there for 13 years. 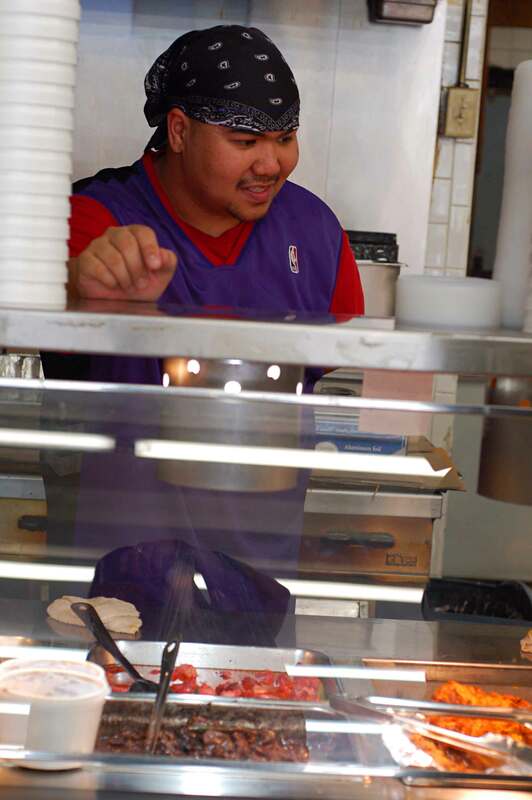 We left Cedric to handle the lunch rush, and returned later that afternoon to continue our conversation. We found him engrossed in a movie he had just begun to watch: Get on Up, the story of James Brown. It was fun watching a bit of it with him. What an amazing story. Both Cedric and Leah had seen Brown perform, possibly at Lulu’s in Kitchener. Wish I had seen him! I love Bollywood Rush, a small oasis tucked away in the corner of the plaza beside the dry cleaning shop. 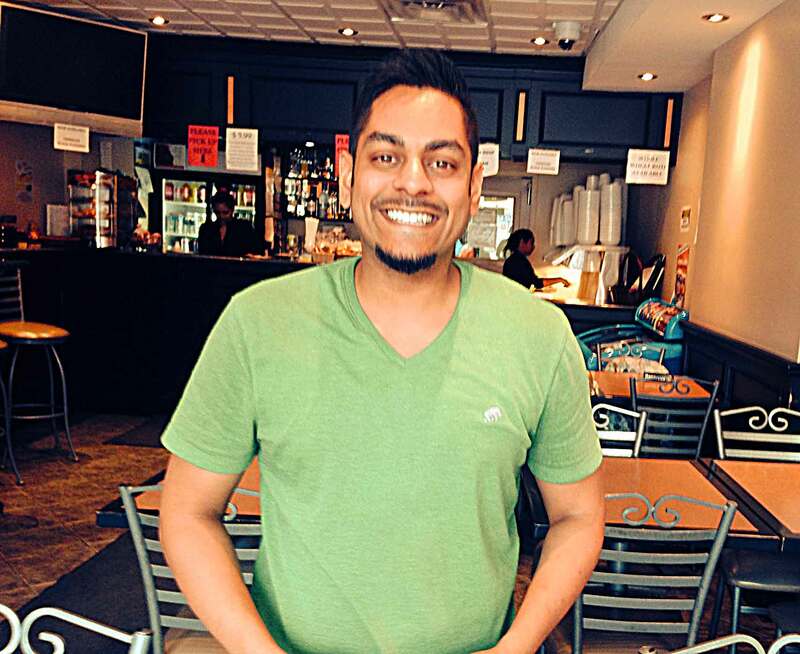 Lined with walls of South Asian movies, Zubair, the owner, also throws in a smattering of cinematic offerings from unexpected places such as Jamaica. After greeting us like old friends, Zubair ducked into the back to tend his biryani. “It’s the best in town,” he boasts. 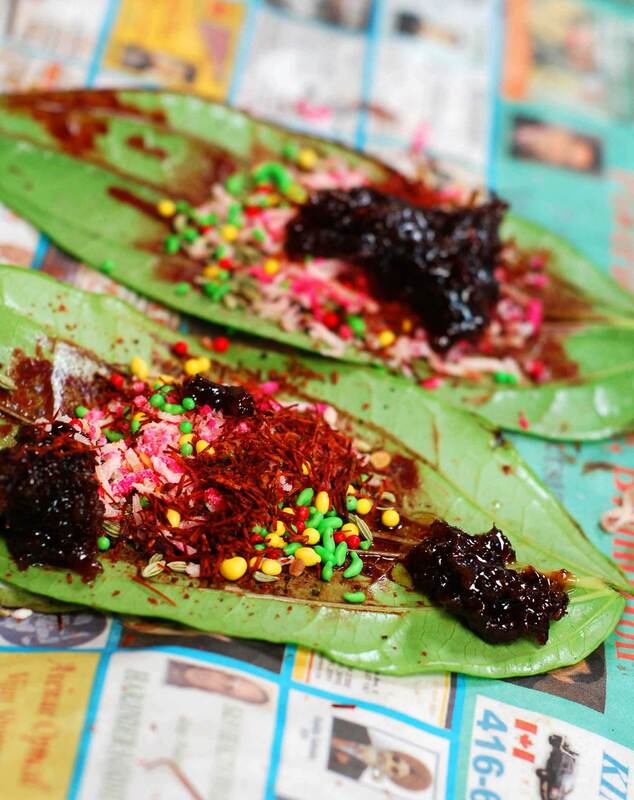 He then introduced us to the fine tradition of paan, a popular South Asian mouth freshener. He began with two large leaves on which he spread a mixture of fennel, coconut and rose petals. 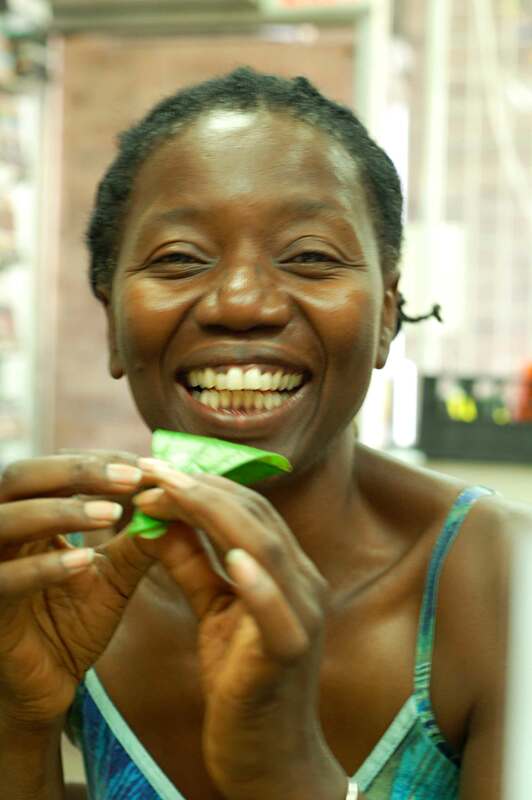 He advised us to pop the whole leaf into our mouths and tuck it into a corner. The flavours exploded on my tongue and dominated my senses. I was in another world. I managed somehow to stuff the entire packet into my mouth but try as I might, I could not wrestle it into a corner as instructed. After chewing for what seemed like an eternity, I emerged from the exhilarating experience ready to face the world with flowery breath. Zubair sent us home with his famous Biryani. Just as he promised, it was delicious! 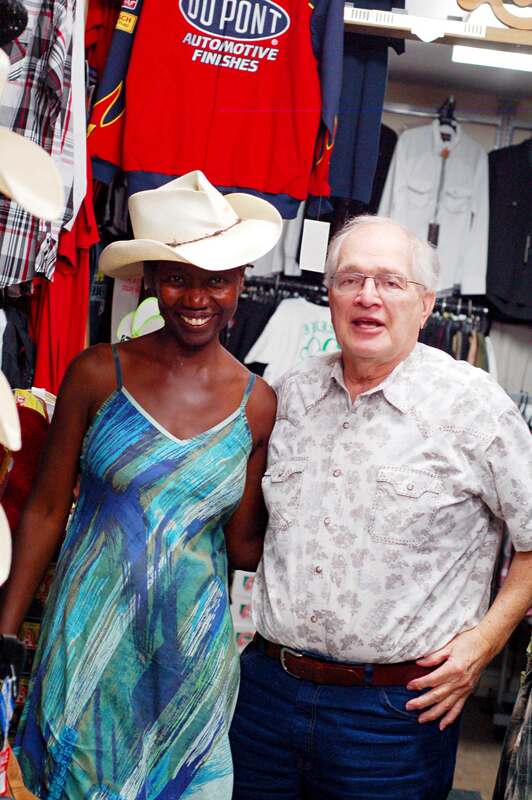 Speaking of history, it was time to visit the oldest store in the area, Trdak’s, where I finally met owner, Joe Trdak. Joe is as colourful and entertaining in person as he is on the phone. 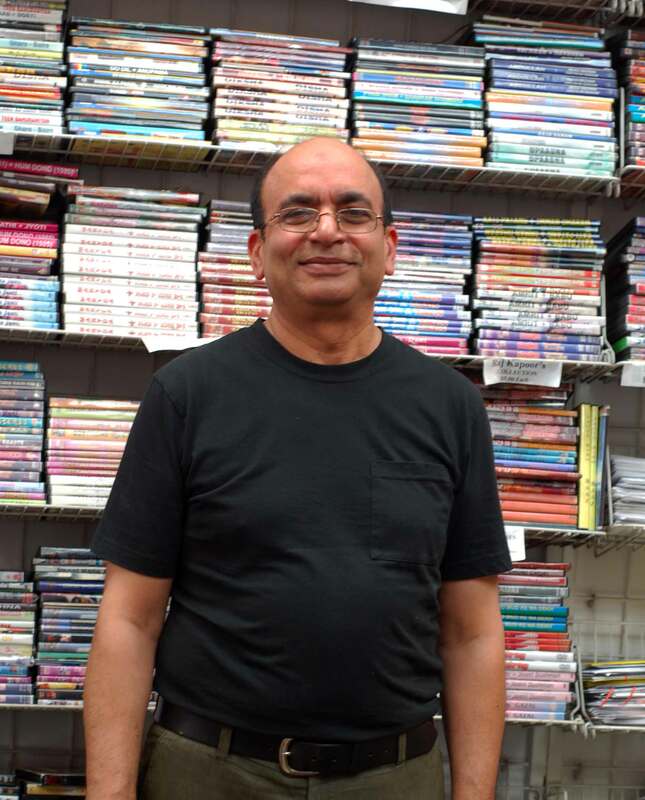 He is the second generation of this family to own the business and a font of knowledge about all things historical in Cooksville. 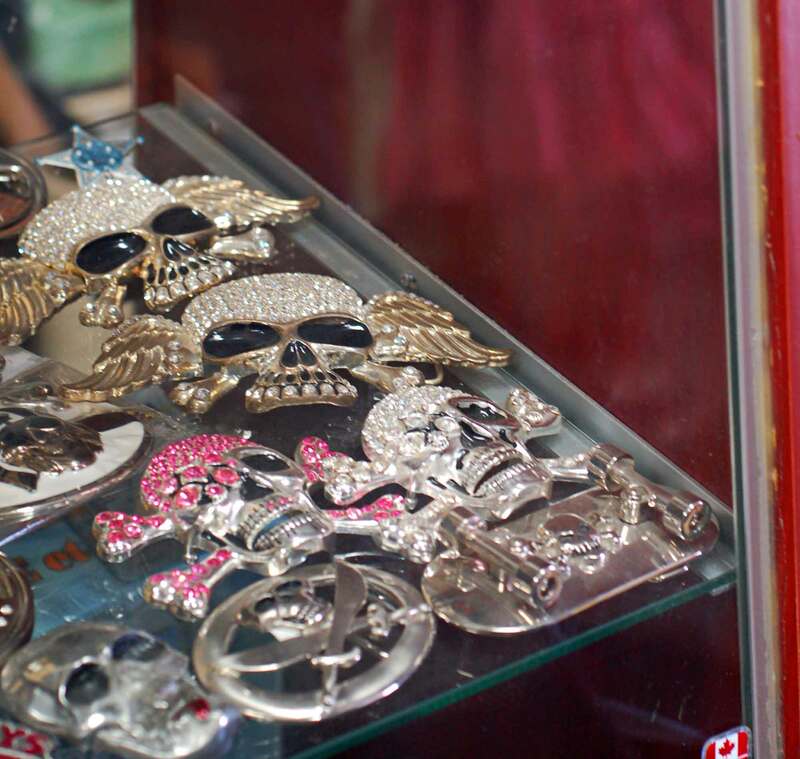 Now surrounded by neighbours who hail from across the globe, his store, with its flashy cowboy attire such as bolo ties and glitzy belt buckles, stands out as the last of an era. If you’re lucky enough to catch Joe in the store, ask him about the old days when there was a fairground across the street and the town hall down the road. 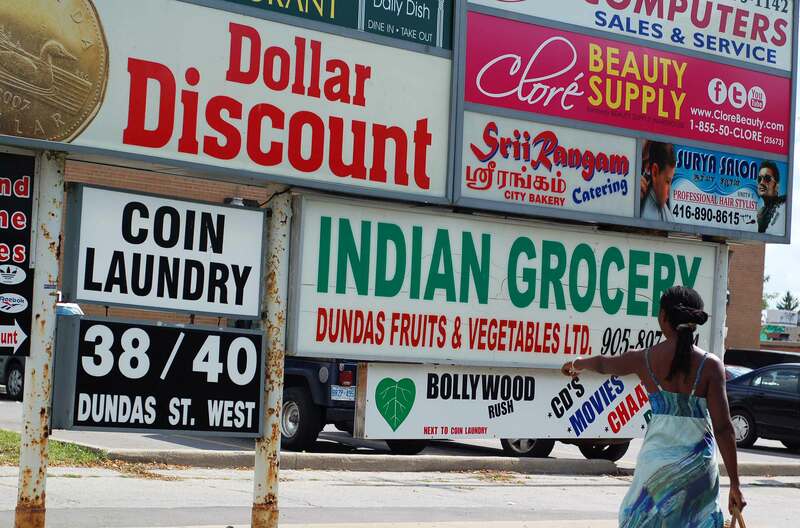 The stories he tells of historic Cooksville could fill several books. Read my interview with Joe Trdak here. 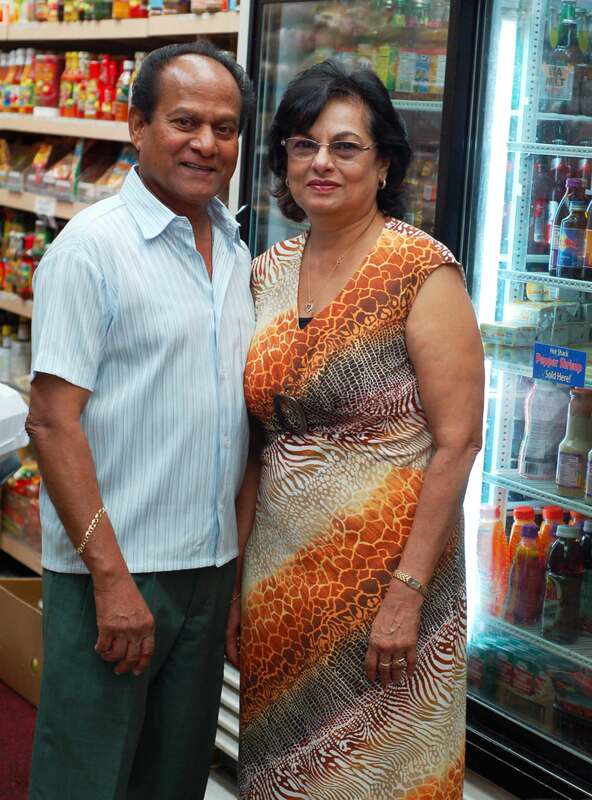 Emerging from old Cooksville, we wandered a few stores west to African Caribbean Groceries. 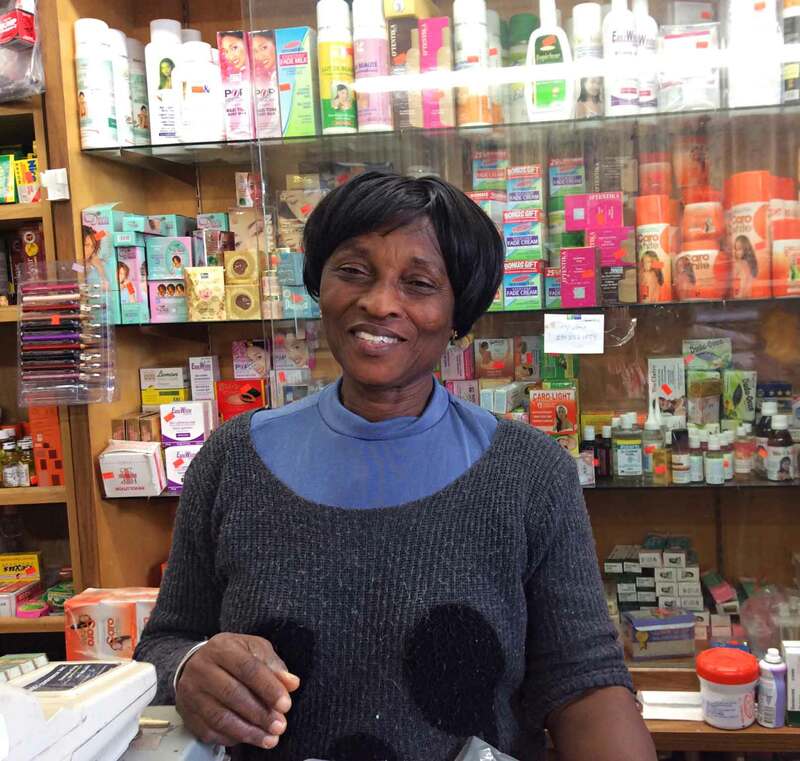 Here, you’ll find the small store jam packed with a variety of hair products and food, such as dried fish and fufu, a starchy accompaniment to stews. 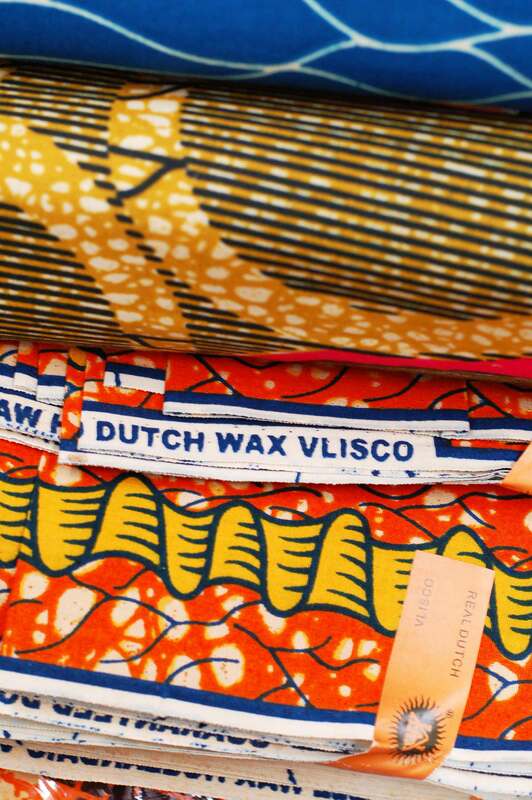 Each time I return I love feasting my eyes on their bright, funky wax resist fabrics. The prices are a very reasonable $25 for a 6-yard length of fabric. That’s enough to make a long skirt and a top. Leah fell in love with a gorgeous piece and had to have it. The proprietor, who is Ghanaian, has the contact information for tailors in the area who can whip up anything you fancy. In West Africa, custom-made clothing is the norm as I found out on my recent trip to Senegal. Another of my favourite places is Oriental Market. 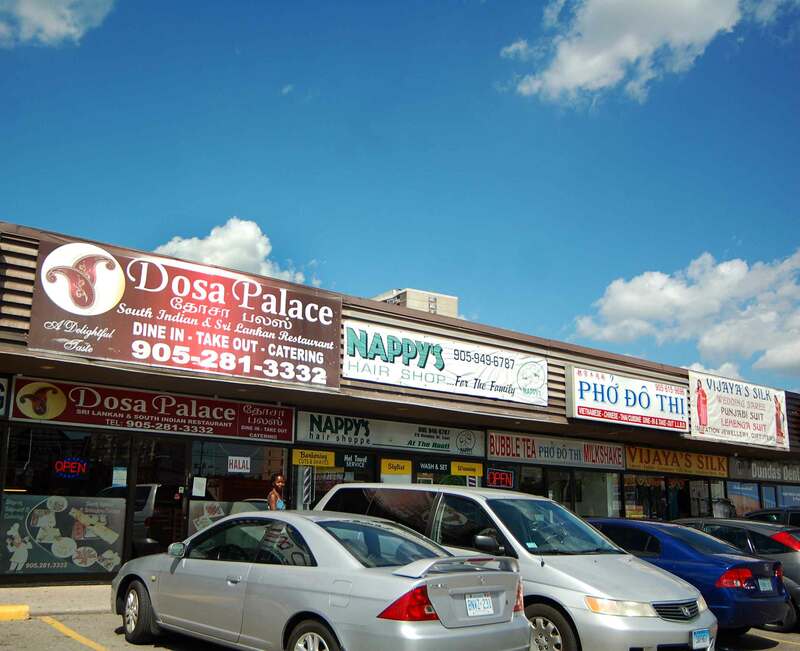 Serving the Filipino community, this spacious store is a great place to relax and have a nosh or shop for groceries including a range of snacks from the Philippines that you won’t find in mainstream food stores. Say hello to Mark when you visit! He is a wonderful gateway to the food and culture. Mark’s favourite food is kare kare, an oxtail peanut stew. Check out this blog post on Indonesia eats. The Indonesian host of the blog invited a Filipino guest to post the recipe. I wonder if there’s a veggie version of this somewhere?! 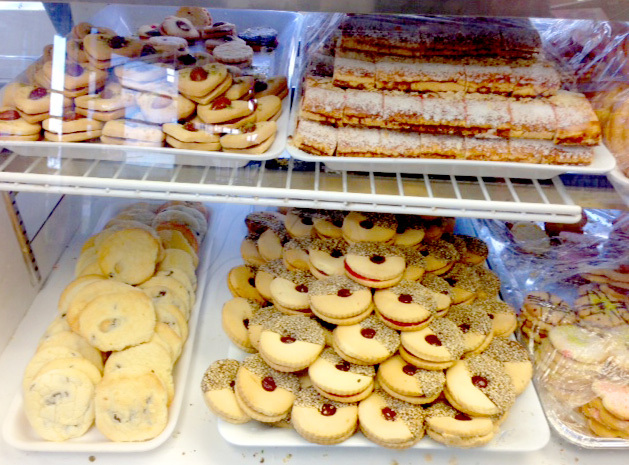 Our next stop is a Arya, a Middle Eastern grocery store with a meat counter in the back and delicious Persian sweets in the front. Just thinking about the dates they sell here makes my mouth water…sooo juicy and plump. 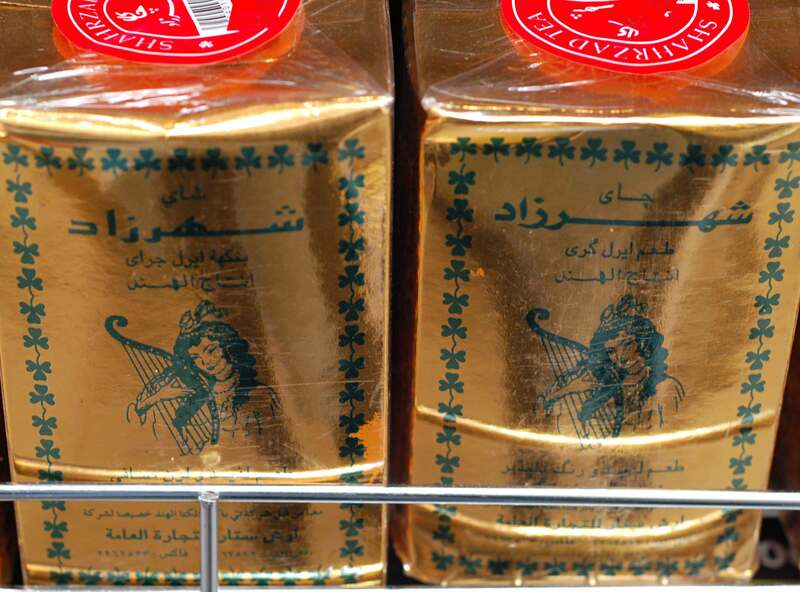 Their pistachios are also something to celebrate. Who knew there were so many different varieties! After covering the world in a square block we’ve come to the end of the tour, yet we’ve just scratched the surface of this area. There is so much more to explore! I heartily agree. Each small business in this densely-packed area is the hub of a community and speaks to the incredible diversity and resilience of the city. It is my hope that this walking tour will contribute to celebrating and preserving Mississauga’s living cultural heritage. Join Camille Turner and the Art Gallery of Mississauga in a series of Walking Tours this Doors Open | Culture Days weekend. Register here. Can’t make the tour? Explore the area yourself, and discover the hidden histories within Mississauga’s original downtown!